Hermes, Chanel, and LV? HECK YES. I mean who wouldn't want to play dress up with these goodies. AMIRITE. 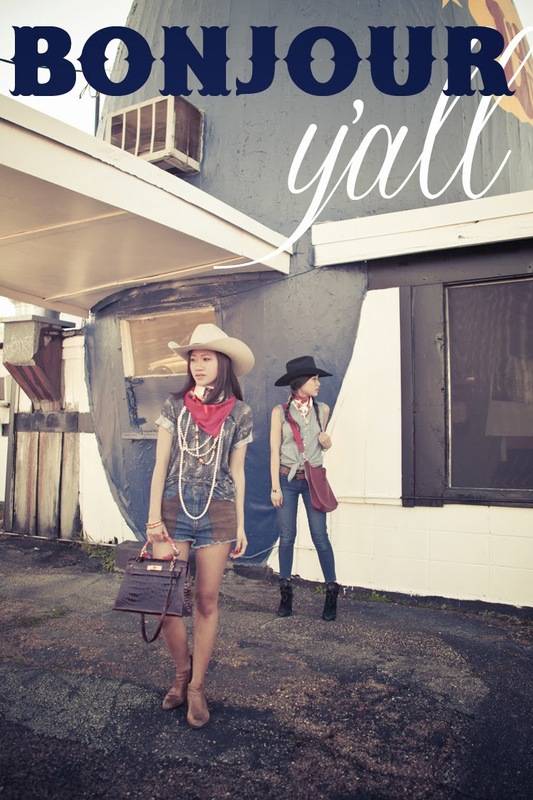 then came the theme of our shoot, being from Texas, and with the rodeo coming up, not to mention the whole Chanel Dallas thing, it was time for us to do an urban cowgirl shoot. AND since we're notorious for mixing high and low pieces.. this would be the ultimate. like that bell curve be crazy. Love the setting and theme! 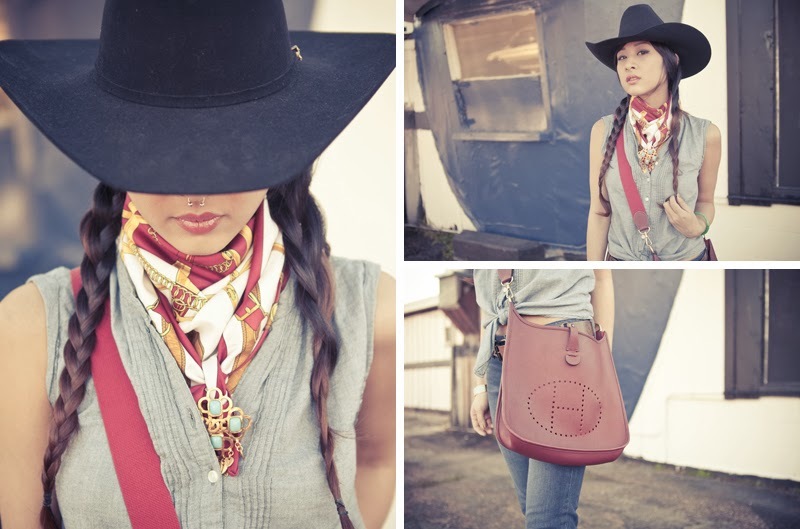 Great styling with the classic meets western! Just wow! Love the pictures! Obsessed! What great pictures...looks like so much fun! This is such a fun shoot!! You guys look amazing!! Beautiful photos and you look adorable! 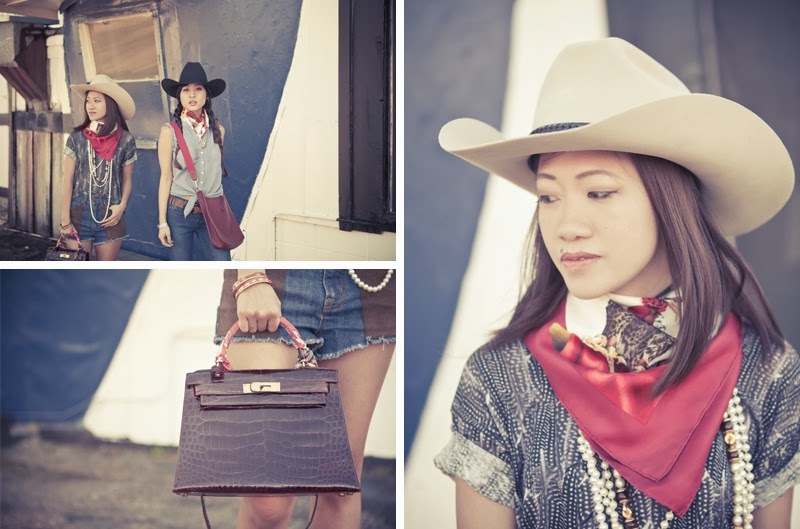 Cute photos, and I really dig the cowgirl theme! hey! love the cowgirls outfits! vi love it! great look honey!! Girl... YOU LOOK AMAZING!!!!!!! Stunning outfit! OMG the necklace is so perfect!!!! i love it! great outfit,:) i love the necklace! Thanks for your kind comment - happy weekend! Both these looks are amazing. Both bags are incredible. Nice shoot and style ! so cowboyish! i really love the sense of style! keep up the good work! 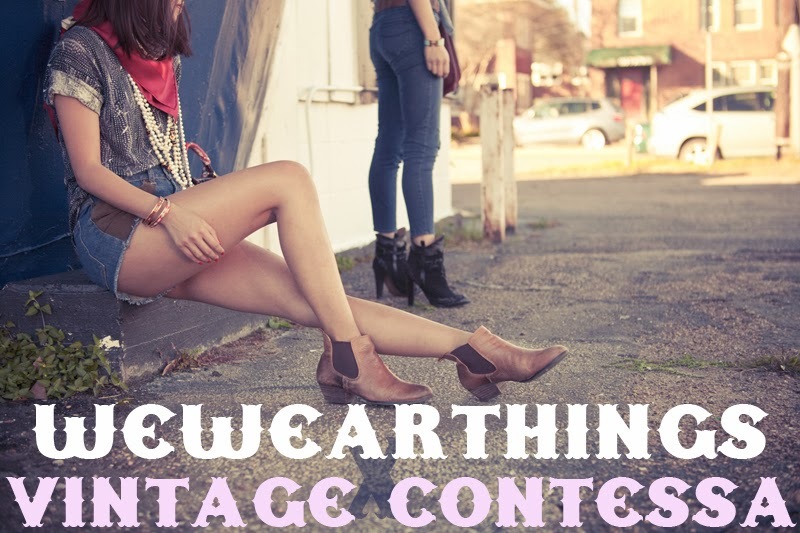 wewearthings always does the BEST photoshoots!